A strong online presence is critical in building trust with customers and driving sales to your small business. SnapRetail makes it easy to drag-and-drop your way to a fully responsive website with scheduled updates and over 300 different look and feel combinations. Schedule website updates on your schedule and win back time for your business. Websites that are built with SEO in mind to help you get found online. Our websites are automatically responsive for any device. 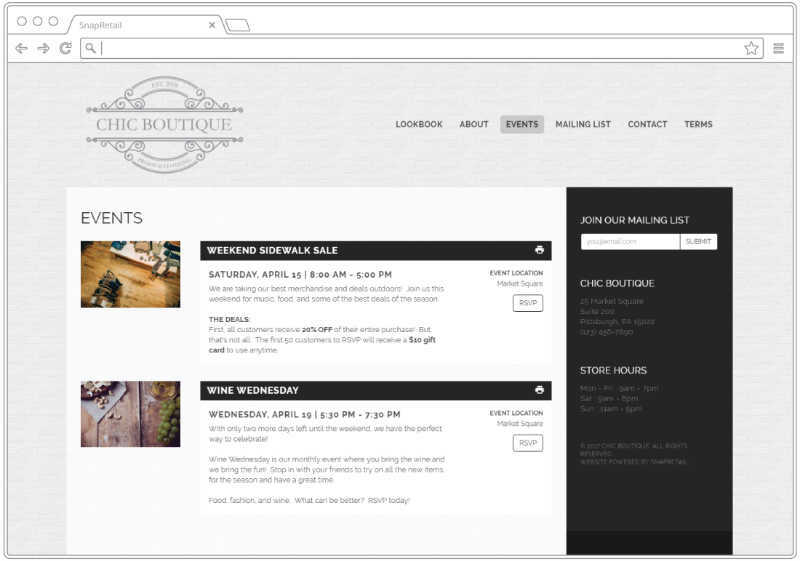 Publish events to your website quickly and let your customers RSVP. You’re in control of your small business, so why should your website be any different? We make it easy to have a great looking mobile friendly website. 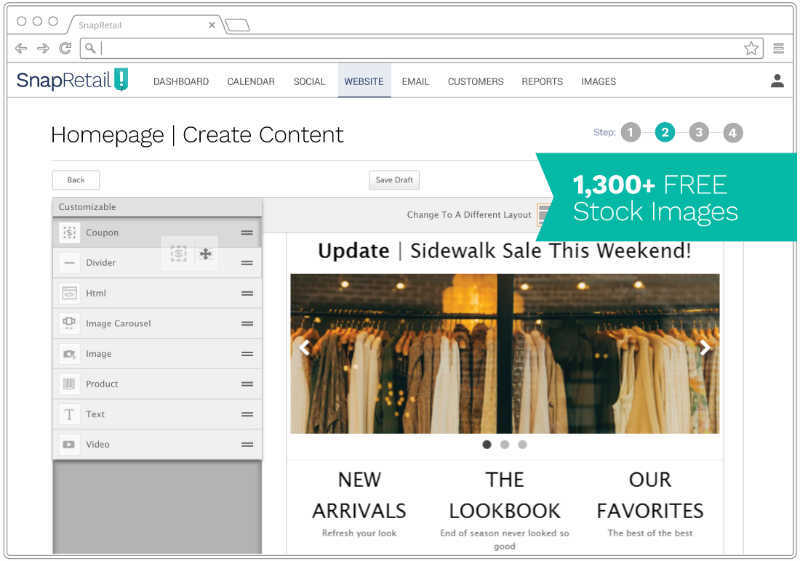 SnapRetail’s drag-and-drop website editor enables you to create an unlimited number of pages and updates without writing a single line of code. Just like email and social posts, you can schedule website updates to go live at any date and time you choose. It’s that easy. 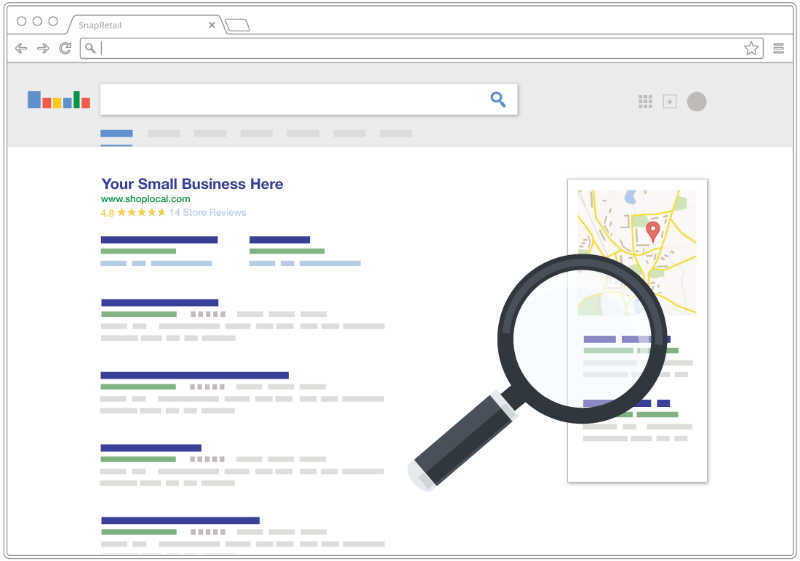 72% of all consumers who performed a local search ended up frequenting a business that was within five miles of them. SEO is an important step in your website’s success. Our websites are built with SEO in mind, saving you time and increasing your chances of being found by new customers. Take control if your SEO with terms that your target audience is using to improve ranking in local searches. Our editor makes it easy. In a mobile-driven world, your customers are searching for small businesses like yours on their phones. With a SnapRetail website, you can be confident your online presence will translate to all devices. 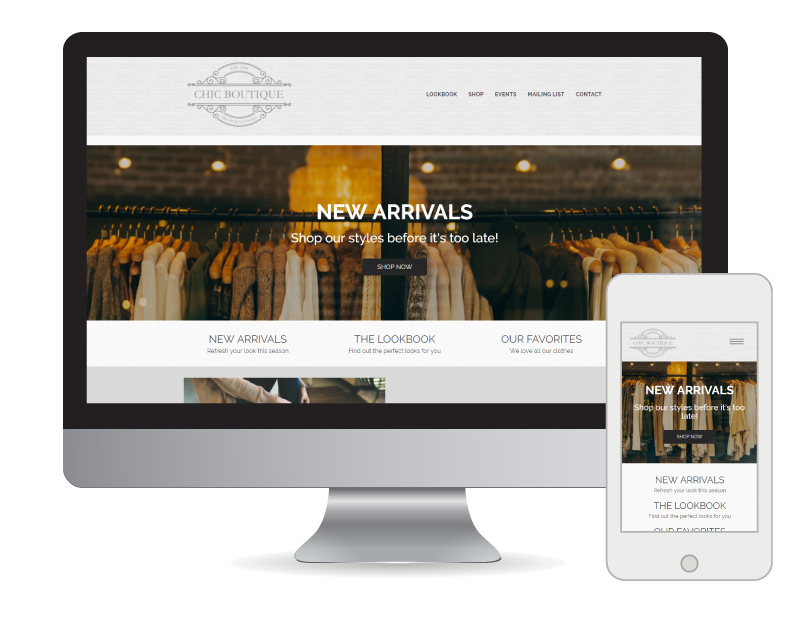 Choose from eleven different responsive website layouts, and start converting customers whether they’re in the office or on the go. Our sites are automatically responsive, meaning you only create the perfect looking site once and we take care of the rest. Events give new and existing customers another reason to stop into your small business! We make it easy to create, publish, and share your events. Adding a store event to your website is as easy as clicking a date on your SnapRetail Calendar and entering a few details. The event will automatically publish to your website. Customers can instantly RSVP and share your event on social media. Your SnapRetail subscription also includes a collection of event invitation templates to help you get the word out. I can change my website at a moments notice and it’s so user-friendly. LOVE SnapRetail! 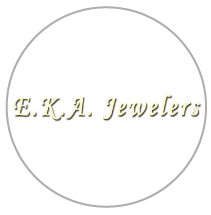 Initially, I was concerned about switching my website to someone new, but I’m so glad I made the decision! 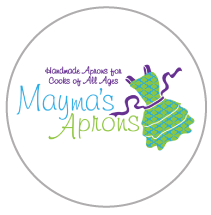 It was a ‘Snap’ to create and launch my site and makes my business look professional!